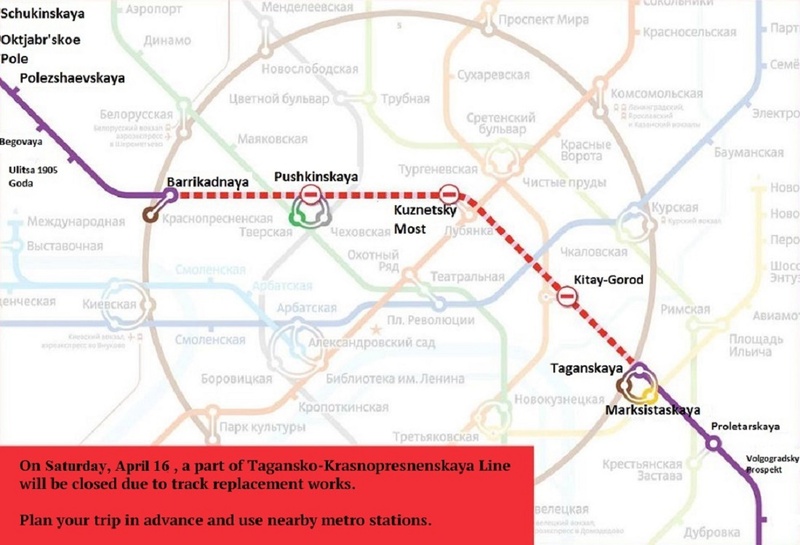 On Saturday, May 30 2015, trains will not go through the central part of Zamoskvoretskaya metro line, from Belorusskaya to Novokuznetskaya stations. 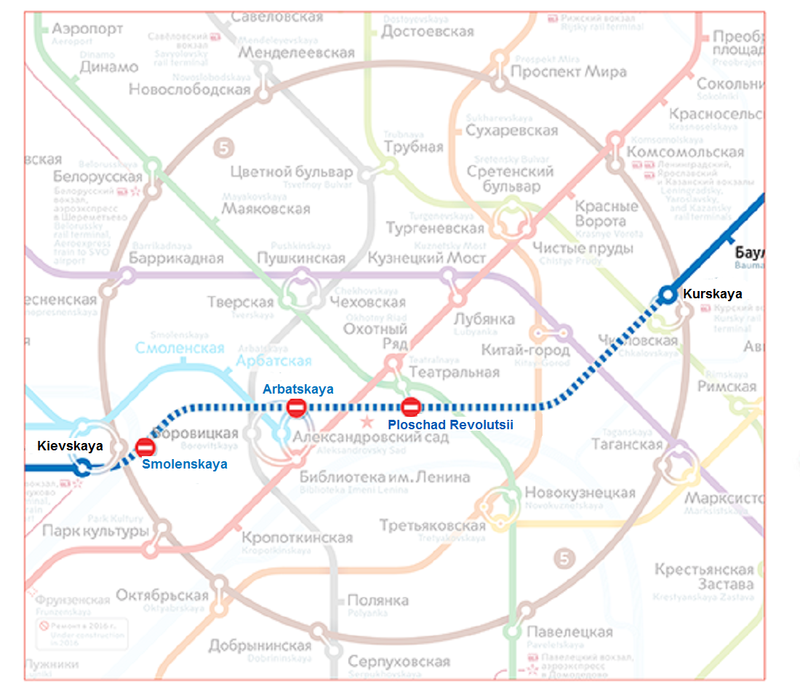 Teatralnaya, Tverskaya and “Mayakovskaya stations will be closed. Restrictions on train movement are introduced due to the overhaul of the ways. On May 30, trains at Zamoskvoretskaya line will run only from Rechnoy Vokzal to Belorusskaya and from Novokuznetskaya to Alma-Atinskaya stations. Belarusskaya and Novokuznetskaya stations will work as will act as terminal stations with transfers to other lines. Passengers are suggested using other subway stations located near the closed ones and ground public transport. 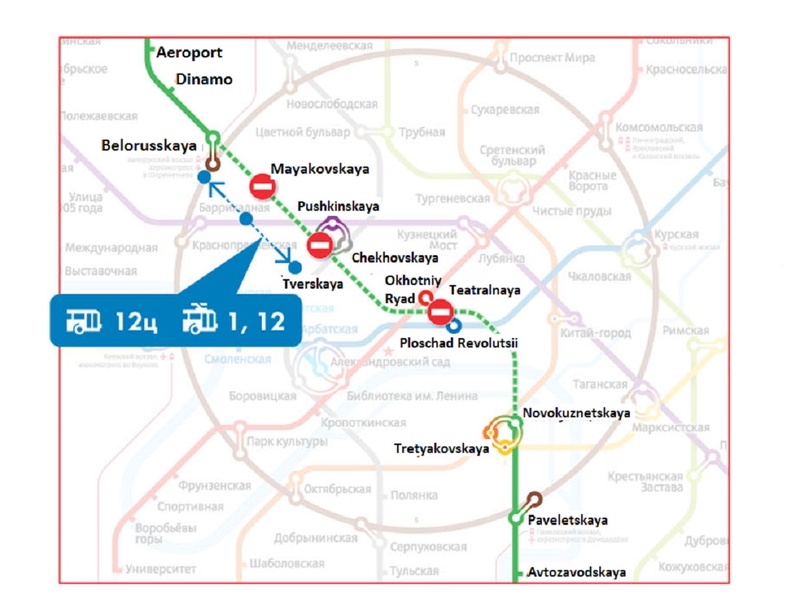 For the passenger’s convenience, there will be increased a number of trolley buses on the routes number 1 and 12 and busses 12Ц, following from Mayakovskaya metro station. The closed stations will resume their work on Sunday May 31, 2015 in 5 hours 30 minutes. Note that before the end of 2015, the Moscow Metro is planning to hold more than 20 technological windows at various parts of the subway lines to make repair works and upgrade underground ways.